We have reached a maximum of 30 registered partners and will NOT be able to register ANYMORE for the partner programme. However, you still can register through imog2017@houseofgeoscience.org for the social programme which includes: the Icebreaker Reception / The Cultural evening / The Conference Dinner. The rate for this registration is 200 euros. We apologize for this inconvenience due to logistics and oversubscription. We welcome partners to join us in Florence. A very attractive program has been composed and this program , for partners and children (from the age of 16), gives the opportunity to meet and become acquainted with other partners in the most beautiful surroundings of Florence. All registered partners have access to the social programme, which includes the icebreaker reception and the conference evening. In addition, registered partners have access to the exhibition and the partners tours during our IMOG conference (which is included in the fee). Don’t miss the change to register as a partner as there is a maximum of 35 partners for this tour. 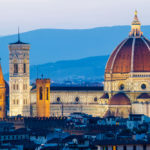 A guided tour including a visit to the main Cathedral of Santa Maria del Fiore, exclusive access to the Terraces with extraordinary views of the city and Brunelleschi’s Dome. Panoramic visit of the Duomo’s external terraces, more than thirty meters above ground level, where you can feel immersed in the beautiful surroundings of Florence and admire all the monuments of the city as well the massive presence of the Cupola from a unique point of view. The walkway wraps around the Cathedral and provides an exclusive perspective of the most hidden features of the magnificent marble decoration of the Cathedral in an inspiring setting untouched by time. 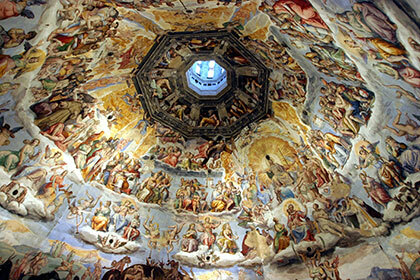 We will discover the beauty of Florence : Piazza Del Duomo, where you can admire the Cathedral and its dome by Brunelleschi, the bell-tower by Giotto and Saint John Baptistery with its Paradise Door. 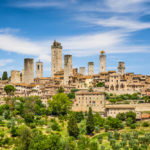 The tour continues by visiting the medieval quarters where Dante Alighieri and Beatrice lived. 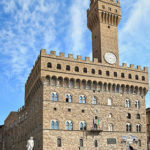 Further you can find Palazzo del Bargello, not too far there is Piazza della Signoria, a great “open-air sculpture museum”, overlooked by the imposing Palazzo Vecchio. We will stop for an ice cream in the historical Gelateria in the city centre. Next to it the Uffizi Gallery, one of the most important museum all over the world. The guide will be glad to join you to the picturesque Mercato della Paglia (Straw market), where the famous Piglet Funtain is located. You walk along the street that leads to Ponte Vecchio, the “jewels bridge”, crossing the bridge you will reach the wonderful Palazzo Pitti where the tour will ends. This tour will include lunch. Children under the age of 16 are not allowed to register or attend the conference, the exhibition and all partners activities. The hotel receptionists can assist you in finding a baby-sitter when necessary. Pets are not allowed at the partner activities and touristic tours.